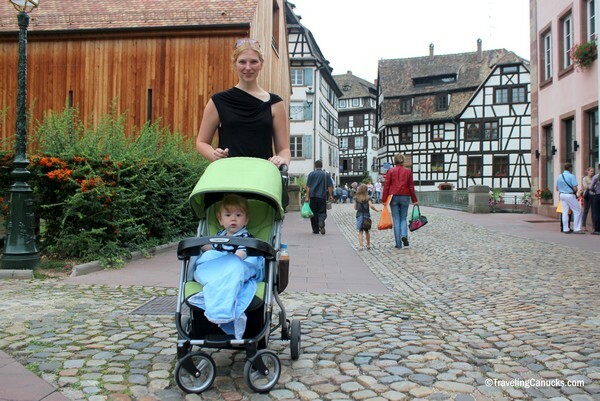 After spending a week wandering around Zurich and riding the world’s steepest cogwheel railway to the peak of Mount Pilatus, we jumped back on the train and traveled to Strasbourg, the capital city of the Alsace region in eastern France. 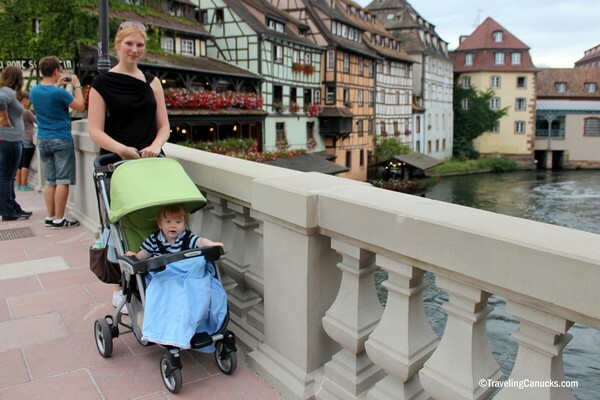 Our favourite part of Strasbourg is La Petite France, a popular tourist attraction located on the Grande Île. The Grande Île is a UNESCO World Heritage Site and historical centre famous for it’s medieval black and white timber-framed buildings, old tanning-houses, baroque sandstone buildings, ancient canals and river locks. Strasbourg is a very old city that has an interesting past, most notably that it was once a part of the old German Empire, which explains why it has such a strong “German” vibe. Here are a few photos captured while wandering around La Petite France. Have you visited Strasbourg? What did you think? Almost every picture looks like a postcard. I don’t know if that’s just because of such good photography or the beauty behind all of those fantastic buildings that have aged so well. Many thanks for the kind words – we’re happy you enjoyed the post! Looks like an amazing place. One of those old European towns you could wander around all day. It is gorgeous! I will be adding this to the list for sure! What is there to do in this area, besides the wandering around and marveling at the quaintness of it all? Any suggestions? EAT! The food was really great and the church is a must visit. Adorable and beautiful! Would love to spend some time there. 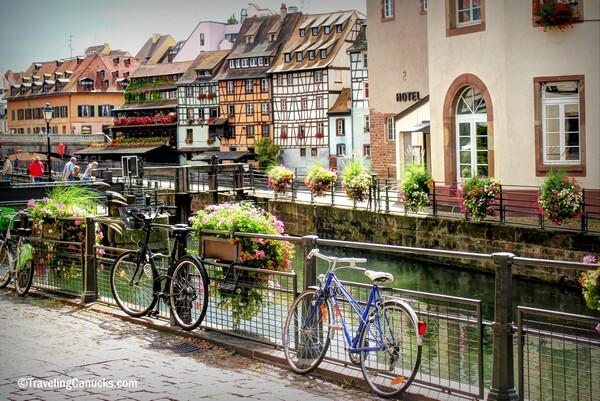 Your photos are gorgeous… Strasbourg looks like a fairy tale! This looks like a ridiculously nice looking city. I am still trying to decide where my next location will be after Munich when I am there next month. This is definitely a strong contender. We highly suggest you visit. It’s amazing. Wow! Strasbourg looks beautiful!!! 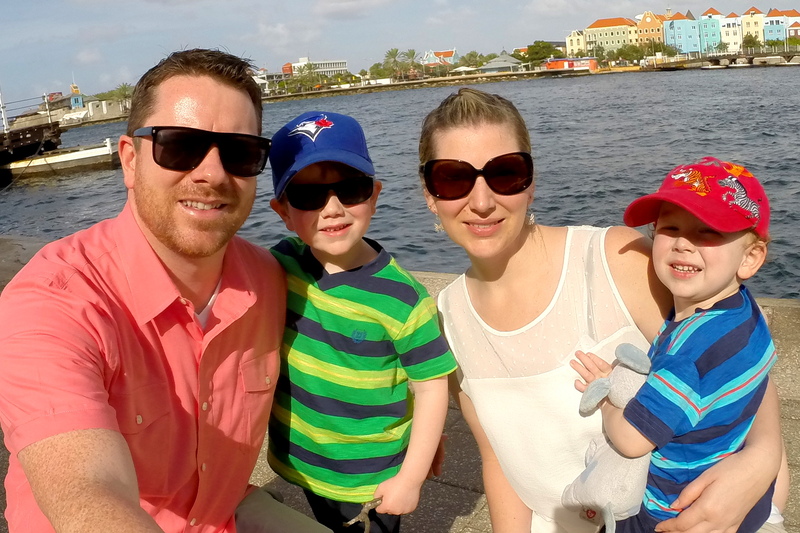 We have traveled extensively through Europe but have not made it here yet. Your pictures are stunning and I think that Strasbourg will now be on our list for our next trip to Europe. 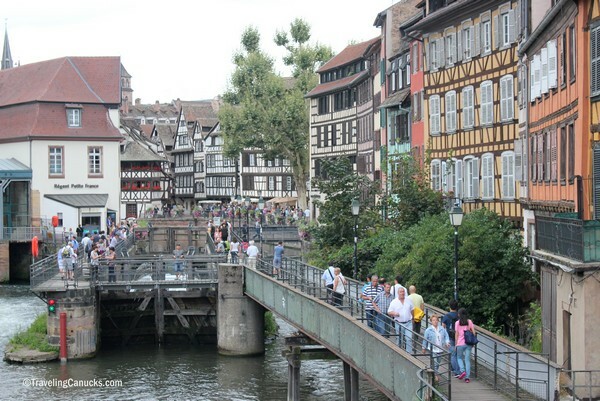 Definitely add a visit to Strasbourg on your next visit to Europe! Sheesh again. How did you end up with perfect weather in every city you went to? I guess the idea that we got stuck working (and schooling) instead of traveling in the nicest part of the summer months didn’t help our weather chances, but I think you guys got particularly lucky. Haha… yes, we did have a few nice days! Wow, some really great photos. Must have had a brilliant time. Thanks Nico – yes, we did have a great time! We spent Christmas in Strasbourg, and our hotel was in Le Petite France area – it was truly amazing, and the Strasbourgians sure know how to make their town Christmassy: the Church bells at midnight, the Christmas markets, and the hot wine were all highlights. It was a great experience in the winter, and from your photos it looks like summer in Strasbourg is not to be missed either! I can only imagine how beautiful Strasbourg is during the Christmas season. Europeans know how to do Christmas proper! Yes, B was a champ. He seems comfortable with the constantly changing environments. It is a beautiful town, hopefully you get a chance to see it soon! Le Petite France sounds and look wonderful! I love timber-framed buildings, they always look so idyllic. How are the couchsurfing opportunities in Strasbourg? No idea AJ. We’re not into the couch surfing scene. Strasbourg looks just like France you’re right! I’ve never been but its meant to be a strange combo of cultures that has somehow formed into a beautiful mosaic of architecture and indeed culture. I hear it’s fantastic during Christmas! Have fun! Such a beautifull place…I really like the small river that runs through. Strasbourg looks great! The petite France area is called like this because Napolean’s army stayed there on their way to war in the East. Many soldiers had Syphilis which was nicknamed ‘the french disease”. By the way I am born there. Love it. My Grandfather went to school there back in the 880’s. He immigrated to the U.S. early in 1900. His family were vintners, but were Germans. Between the World Wars, he lost his entire family and had no interest in ever going back to visit. He had wonderful memories of Strasburg and would tell wonderful stories of the people and the history. Your comments brought back memories of George and his stories. I just watched an episode of House Hunters International about Strasbourg and it looked awesome. 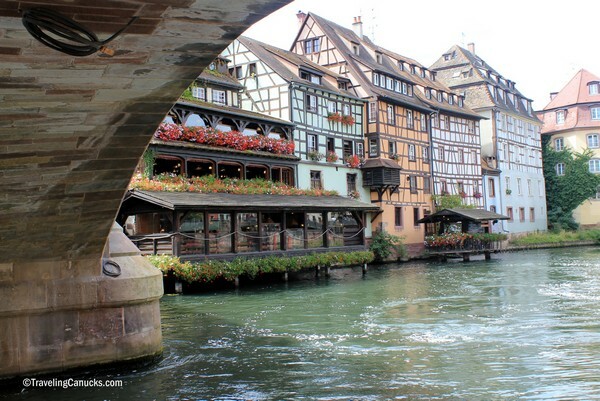 I am writing a blog post about Strasbourg and I found this very nice pictures on your site. Can I use some of them, citing your site as the author? My blog is http://da-scoprire.678voli.it/ (in Italian language) and I am writing about various cities, mostly in Europe. It certainly looks very German. What a beautiful city… I could walk around taking photo here for weeks! Ahh, been there a few times before! Strasbourg is so charming! Great post, I’ve been told by others that Strasbourg very nice. We’re looking for a central location in Europe to use as a base for a couple of months, somewhere convenient as far as transportation, language (we speak French). Before seeing this post I had considered Strasbourg. Any ideas/suggestions? Oh it’s a wonderful place… and nice pics too! Our (American) family lives in Zurich and we are heading to Strasbourg and Colmar (via train) this weekend. Our kids are 5 and almost 3…do you have any recommendations for a place for lunch in Le Petite France? We are going to check out the Cathedral, maybe a boat tour and Le Petite France before heading to Colmar around dinner time. If you have any other recommendations I am always looking for guidance. So happy to have found your site. Happy travels!